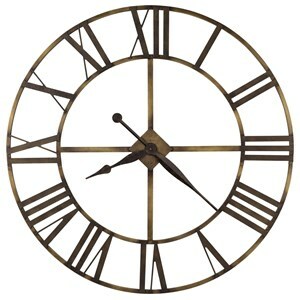 You'll have an incredible addition for your home walls with this beautiful clock. 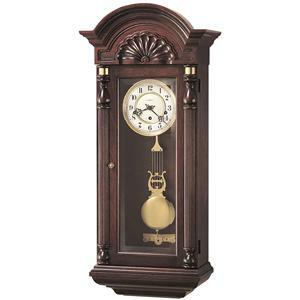 The piece carries an Oak Yorkshire finish on select hardwoods as well as veneers and features deep moldings, which create the traditional octagon shape that accentuates the dial. 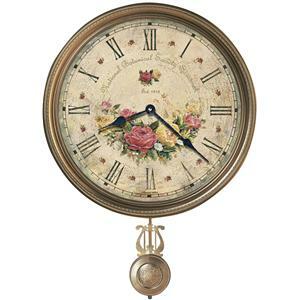 Off-white Arabic numeral dial with polished brass tone bezel with decorative hands and a polished brass finished pendulum give the clock a clean, visible appearance while the quartz, dual chime movement plays Westminster or Ave Maria chimes, and contains volume control and automatic nighttime chime shut-off option. Plus, an automatic nighttime chime shut-off option is also available. 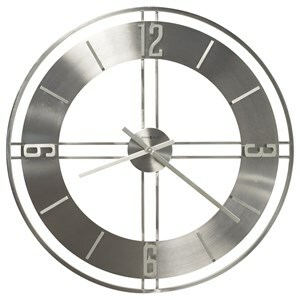 You can have a handsome and honest look for your home decor with help from this classic wall clock. 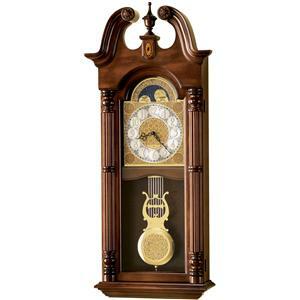 The 620 Katherine Wall Clock by Howard Miller at Stuckey Furniture in the Mt. Pleasant and Stuckey, South Carolina area. Product availability may vary. Contact us for the most current availability on this product. Pendulum Description Polished brass finished pendulum. 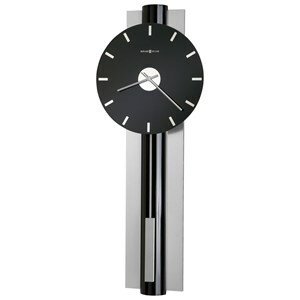 Chime Description Quartz dual chime movement plays Westminster or Ave Maria chimes, and contains volume control and automatic nighttime chime shut-off option. 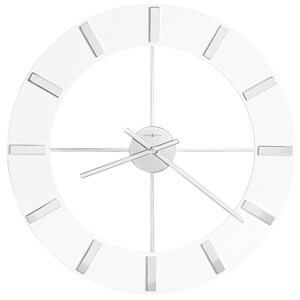 Plus, an automatic nighttime chime shut-off option is also available. Wood & Finish Oak Yorkshire finish on select hardwoods as well as veneers. 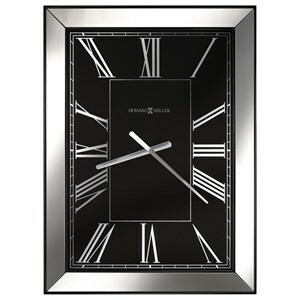 Case Detail Deep moldings, which create the traditional octagon shape that accentuates the dial.